Lyme disease is transmitted via the bite of an infected tick. Dogs, cats, and even humans can be infected with the disease. Dogs more than anything, however, are likely to become bitten because of their tendency to run and explore in the woods. Tick bites tend to happen in the spring and summer with some years being worse than others. Left untreated, Lyme disease can be fatal, so it’s important to keep an eye out for symptoms. 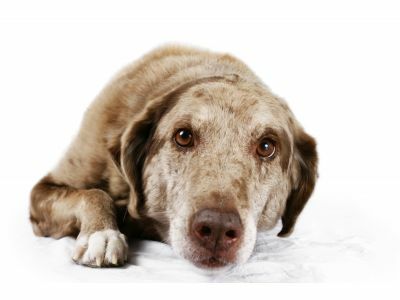 A major sign of illness in dogs is a drop in energy levels. This typically happens because they’re immune system is hard at work trying to fight off disease or infection. Moreso than other signs or symptoms, limping and general issues with mobility are the most noticeable signs that your dog has Lyme disease instead of another illness or disease. If you notice your dog shifting weight, walking differently, or sitting or lying down more often, they could have Lyme disease. If your dog seems to have a decreased appetite or is not eating at all, this is a definite sign on Lyme disease. Also, if your dog is vomiting or has diarrhea, this could be a sign that they’re infected. Increased body temperature, also known as hypothermia can occur when your dog’s immune system is working hard to fight an infection like Lyme disease. The heightened body temperature may cause your dog to drink much more water. The increased consumption can also be caused because of kidney failure that’s associated with Lyme disease. And, obviously, the more water they drink the more often they will need to go to the bathroom. At Creature Comfort Veterinary House Call Services, we’re Kalamazoo’s premier house call veterinarian. Please contact us today for more information!